Процессор AMD Ryzen Threadripper 2950X TR4 BOX без кулера YD295XA8AFWOF..
Процессор AMD Ryzen Threadripper 2920X WOF (BOX без кулера) 180W. 12C/24T. 4.3Gh(Max). 38MB(L2+L3). sTR4 (YD292XA8AFWOF)..
Процессор Amd ryzen threadripper 8c/16t 1900x (3.8/4.0ghz. 16mb. 180w. 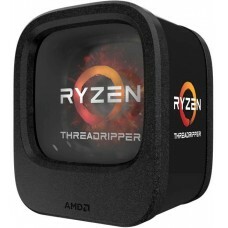 str4) box без кулера..
Процессор Amd ryzen threadripper 1950x wof (box без кулера) 180w. 16c/32t. 4.0gh(max). 40mb(l2+l3). str4 (yd195xa8aewof)..